I think we can all use a little extra get-up-and-go when the holidays arrive. There are gifts to buy, crowds to wade through, long check-out lines to endure, gifts to wrap, and parties to attend. I don't know about you, but having a little caffeine in my system gives me an extra ounce of energy and patience to get through it all with a pleasant demeanor. I can remember when chocolate covered coffee beans were a specialty item that could only be found in coffee houses. These days, you can find them at most grocery stores - I've even seen them at Target. If you can't find them at your regular grocers, try local coffee houses or places like Earth Fare, World Market, or Whole Foods. 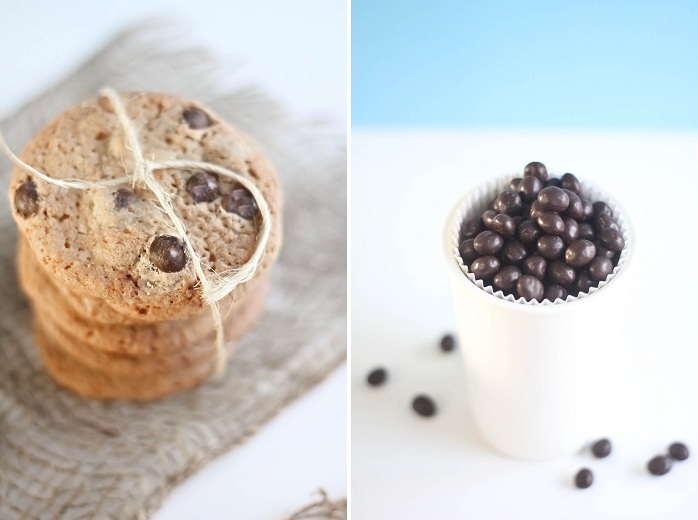 These cookies have the perfect chocolate chip/chocolate coffee bean to cookie dough ratio. Enjoy! 1. Beat butter with an electric mixer at medium speed until creamy; add sugars and beat well. Add eggs and vanilla, beat well. 2. Combine flour, baking soda and salt; add to butter mixture. Stir in chocolate covered coffee beans and semisweet chips. Cover dough and chill for 20 minutes. 3. Preheat oven to 350 degrees. Drop dough by the heaping teaspoonfuls onto parchment lined cookie sheets. (These spread quite a bit during baking, so I suggest you follow the teaspoon suggestion.) Bake for 10-11 minutes or until golden. 4. Let cool on cookie sheets until cookies are rigid enough to transport to a cooling rack. Let cool completely. Tip: Press a few extra chocolate chips and chocolate covered coffee beans into the tops of drop cookies before they bake. This allows the star ingredients to be visible after the cookie is baked. Serve with (what else!?) coffee! These cookies are absolutely fantastic! Can't wait to try. Dreamy pictures and delicious sounding cookies. Ahhh... chocolate covered coffee beans are so dangerous in this house. We can't stay away from them! 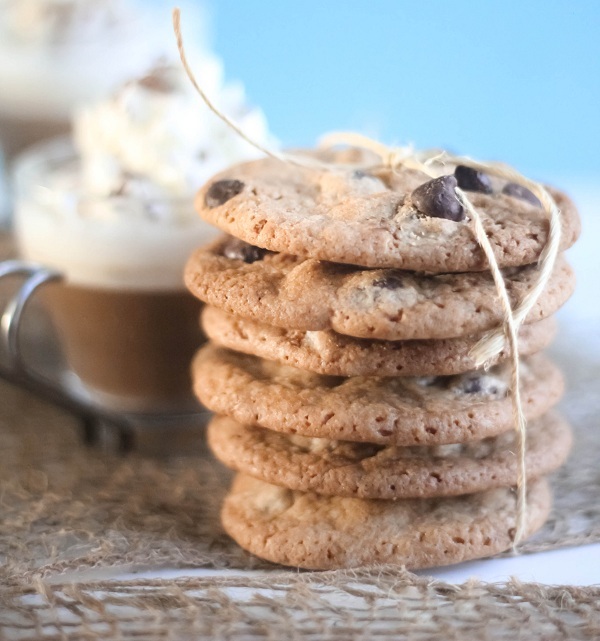 Coffee, chocolate, cookies - my three favourite things all in one cookie?! Will definitely be trying these out over the holidays! LOVE this idea! I'll definitely be making them to snack on Christmas Eve - I'm sure I'll be up all night wrapping gifts! What wonderful cookies! I love the addition of chocolate covered coffee beans. Chocolate, coffee, and cookies. I just don't see anything holding me back. They look scrumdillyicious! Sugar and caffeine? Yes and please and thank you very much. That's breakfast at my house! Lovely as always Heather. I like that you used both chocolate covered coffee beans and chocolate chips. Yum! these are UNREAL my friend! how fabulous! Lovely! I don't think I have seen choco beans here in Qatar. I wish I could get hold of some and bake these beauties. I can almost taste their flavor, ahh. Such yummy cookies! I've already told you but never is enough… I loooove your blog and your work :D Your pics are great and you are so inspiring! The cookies look great and that coffee, divine! I could have used both of these last week. Great post. Coffee and chocolate is my go-to flavor when I want to indulge. These cookies look lovely. The new blog art looks great too! Fab! I am addicted to choc coated beans ever since trying them recently. 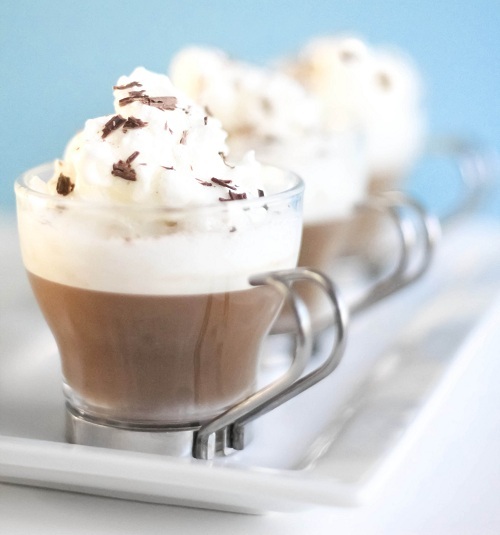 OMG your coffee looks ah-mazing! 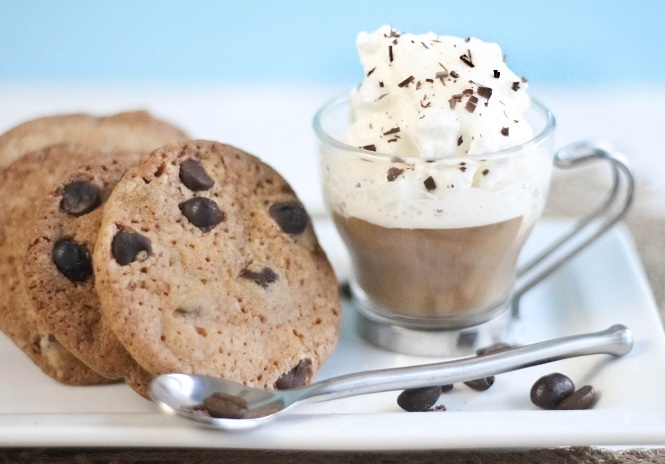 Coffee in cookies? Yes! I have been having a hard time finding chocolate covered espresso beans but I hadn't even thought to look at local coffee houses! Thanks for that reminder! I have never heard of cookies with coffee. Sounds exotic and fab! No need to serve coffee after dinner. Love the cookie and your photos! Cookies AND coffee? Two of my favorites wrapped into one! They look delicious! Omg... what a nice looking coffee!! I want it... and with the cookies mmm that's the perfect meal for tea time!!! I would never think of using coffee beans. That is genius. take a look at mine and write comments. 1. With a gas oven, 13-14 minutes is necessary to bake the cookies through. 2. My coffee beans were over 1/2 a teaspoon in size so making them only 1 teaspoon was not possible. Mine were about 2-3 teaspoons in size. 3. The cookies spread but not as much as I expected. I would refrigerate the dough longer; about one hour.